Holland Village is famous for its many restaurants, but the locals who live here do not eat at the restaurants daily. They buy their food both fresh produce and cook food at this centre. 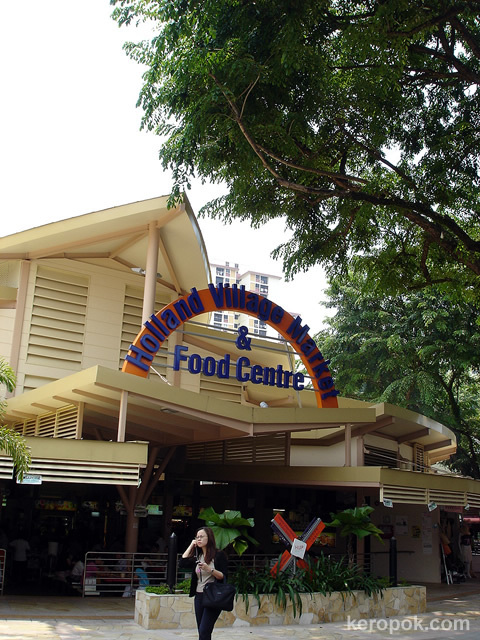 This is the Holland Village Market and Food Centre. This is the rebuilt centre. It was an old dilapidated hut like structure before. But some of the food stalls is still around after the big renovation. I have learned that I can make what I like for a fraction of the cost of the restaurant fare - and I know what ingredients are used. I know there are people who are too busy to cook for themselves or who feel they are too busy so these restaurants are wonderful for them. I don't even know this place. Oh-no! j'aime beaucoup le petit moulin à vent. architecture assez speciale. I like much the small windmill. structure rather special. Do they sell dutch food? How popular is that in Singapore? annie, you should share your recipes with us! 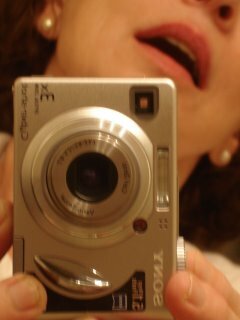 or post them to meg (nelson's DP), she has a recipe blog too! tigerfish, it's one of the most imposing structure in HV! isabella, hmmm i don't remember seeing any dutch food, maybe the next time i am there i will hunt for it! Wah! Since when did this Food Center open??? Did this Market and Food Centre replace the old wet market?